It is not only the fact that there are fewer fish in the ocean, but plastic waste could even surpass the amount of fish in the ocean by 2050. Methods of sustainable marine fish farming are also questionable, with up to one third of wild fish catches going towards coastal ‘farms’ where the underwater cages have to withstand extreme weather conditions, predator attacks and other threats. Around the world, however, particularly in Asia and Africa, freshwater aquaculture is on the rise, which promises to usher in a more sustainable method of producing fish to feed an ever-expanding global population. Africa, in particular, is under the spotlight when it comes to global food security. Though currently, most of the world’s malnourished and hungry people live in South-east Asia, the area of the planet undergoing the greatest population boom in the next three decades will be sub-Saharan Africa. This is a region already blighted by food insecurity, where the effects of manmade global warming are predicted to wreak particular havoc. Soils are likely to become more arid and salty, in a time when agricultural production must increase by 70% to satiate a growing number of mouths. Thus, it is important to investigate other methods of food production and more specifically new sources of animal proteins. In 2017, aquaculture represents a much-needed alternative to open sea fishing, in a world of ever depleting ocean resources. In fact, it now provides a whopping 50% of all the fish consumed by humans – a number that will only increase, according to the FAO, now that wild catches have plateaued (or at least definitely are not growing). Aquaculture is the practice of raising fish, molluscs, aquatic plants and algae on farms, either in the ocean or inland in rivers, streams, ponds and lakes. Worldwide over 500 species are raised via aquaculture, while in the last twenty years no other area of food production has undergone such tremendous growth. However, while aquaculture has matched conventional catch-fishing in recent years, providing around 90 million tonnes of fish, marine farms are not necessarily any better than marine fisheries; as the fish in ocean farms are often carnivorous and feed on wild-caught fish anyway. Thus, it is important that we look inland, towards freshwater fish. One such fish is tilapia, a cichlid which is herbivorous, and thrives in a low input system. Tilapia is now the third most important fish in aquaculture, providing around 1.5 million metric tonnes per year. Tilapia farming is not new. Just ask the Egyptians, who’ve been farming these fish for thousands of years. Tilapia were referred to (probably) in the bible as the fish that fed the multitudes. Indeed, the Nile tilapia is still a prominent fish in aquaculture today. From North Africa, it was also introduced to Asia, where fish farming is quite a booming business. China remains the biggest player in tilapia farming, producing over a million tonnes a year – though Egypt is not far behind. The benefits to rearing this superfish for food are numerous. As well as tasting good, they are relatively hardy and can tolerate a range of conditions (though they don’t like it chilly – not such a problem in tropical Africa and Asia, however). As such, government programmes have overseen a steady growth of the tilapia industry in countries such as Egypt and Nigeria (and in Southeast Asia, Bangladesh), while this has had positive effects not only on increasing food production but has brought with it considerable socio-economic gains. The revolution has also reached the lake-shores of other countries, too, including Tanzania – with a current yield of 3,500 tonnes of tilapia produced annually – contributing to Africa’s aquaculture boom. However, this revolution in fish farming comes with a cost – which WorldFish themselves admit is a problem that requires tackling – and that is the potential effect on the environment. In Australia, for example, introduced tilapia are already an invasive species. The introduction of Nile tilapia (Niloticus) and the Tilapia leucostictusspecies, and most importantly, the Nile perch – species of freshwater fish found in Africa, Asia and the Indian and western Pacific Ocean – led to the near extinction of some endemic species such as the highly-valued Singida tilapia (Oreochromis esculentus) farmed in Africa. As well as providing an important dietary resource, inland aquaculture projects can have important social and economic benefits as they are accessible at a small-scale. The problem in certain places, like Tanzania, for example, is that – whereas in Egypt, Nigeria, or Southeast Asia – fish farmers are using breeds developed specifically for aquaculture. In Tanzania, we cannot be sure of what fish exactly are being farmed due to introductions and invasions of non-native fish. This might not present a problem if it weren’t for the fact that Tanzania is home to some of the most wonderful natural fish biodiversity in the world. Tanzania hosts the waters of lake Tanganyika, lake Malawi and lake Victoria – not to mention other smaller bodies of water – all of which contain a staggering number of fishes, including a diversity of cichlid fish. These cichlid fish are a wonder to evolutionary biologists, as, from only a few forms and independently in each of these different lakes, cichlid fish have spawned an incredible diversity of shapes, colours, sizes and adaptations to feeding and survival. In a relatively short period of evolutionary history, the African great lakes have churned out thousands of cichlid species. Incredibly, these fish show a large degree of evolutionary parallelisms – where they seem to have developed similar features to fit similar niches while evolving down a completely separated ecological path. Due to their sheer diversity, this opens up a wonderful resource to study cichlid genomes and their inherent plasticity, which, appears to have supported the formation of an overwhelming number of species that have adapted to so many different environments. Thus, we simply don’t want non-native cichlid species breeding and mixing with the native diverse forms. Firstly, we’d be losing species endemic to specific lakes, secondly, we’d be diluting natural characteristics of interest (like fast growth and specific feeding patterns), and thirdly, we’d be missing out on some amazing science! This is one area that genome sequencing can help with. Through providing information about the genetic background (genotype), visual characteristics (phenotype) and locality of cichlid fish in Tanzania, we can help farmers identify the native fish and the ones that they are farming – and hope to keep non-native species from mixing with endemic fish. However, the benefits don’t stop there. Organisations such as WorldFish, for example, have been developing improved varieties of tilapia to increase breeding success, fish growth rates and their general success in aquaculture systems. Using genome sequencing methods to decipher the genetics behind farming traits of interest (like growth and tolerance to certain conditions), we can also help breeding programmes in Tanzania, which can be geared towards specific farming methods and can help in both food security efforts and in increasing the socio-economic benefits of tilapia farming. The fast breeding of small fish, for example, might not satiate an international export market – but it could provide valuable calories for local populations, for example. Whereas, the production of larger fish could help drive exports and benefit the local economy. This is where, along with WorldFish and a variety of universities and Tanzanian institutions, Earlham Institute comes in. Through providing training to Tanzanian researchers and fish farmers, as part of an Aquaculture Resolution, as well as an application to properly study the tilapia species of Tanzania, in depth, we can hope to help enable a better climate to boost aquaculture in Tanzania. 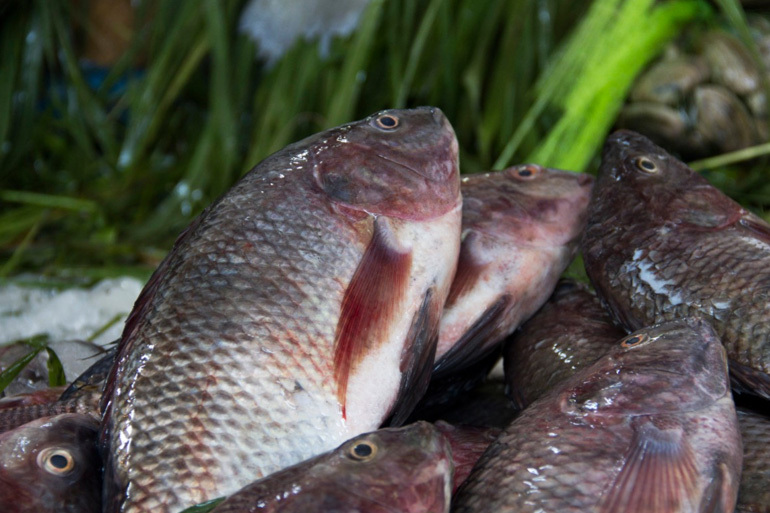 From a current yield of 3,5000 tonnes of tilapia produced each year, it’s possible that Tanzanian aquaculture could reach double this amount with the right husbandry methods. Furthermore, we hope that it is possible to do all of this while preserving the important biodiversity within some of the world’s most interesting lakes. This article first appeared on the Earlham Institute website and is republished here with permission. 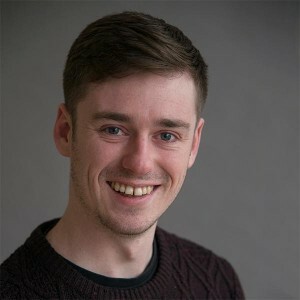 Peter is the Scientific Communications Officer for the Earlham Institute. In this role, he coordinates events between researchers and members of the public, and produces interactive, educational activities around the institute’s research. He holds a PhD in Plant Sciences from the University of Manchester and is an ambassador for international organizations including Thought for Food and One Young World.